Each year, Rabbit plays Easter Bunny, but this year, he’s decided it’s “Spring Cleaning Day,” and he orders everyone to hop to it: scrubbing, dusting, and mopping. All his pals are disappointed – especially little Roo – until Rabbit learns that putting others first and showing friends how much you care turns every day into a precious gift. Sparkling with unforgettable songs and a never-before-seen bonus treat, this delightful “egg-stravaganza” shows why love, hope and friendship are always in full bloom in the Hundred Acre Wood! I haven't watched Winnie The Pooh, in years like decades but I wanted to enjoy with my son as this is his first Springtime. This cute story follows the Roo, Pooh, Piglet, Eeyore and Tigger heading out for Easter. The gang finds there friend rabbit in a very grumpy mood and it doesn't help that he has a list of chores to do. They all wanted to have fun and play games but for rabbit that was not in place for him. Rabbit decided to stop celebrating Easter. The story quickly becomes a version of "A Christmas Carol" with Past, present and future .As the gang jumps from page to page, teaching everyone a very valuable lesson. but made for Easter. I don't want to spoil the movie as it is great for children and helps them to understand that helping out is a good thing. Disclosure: All opinions are my own. 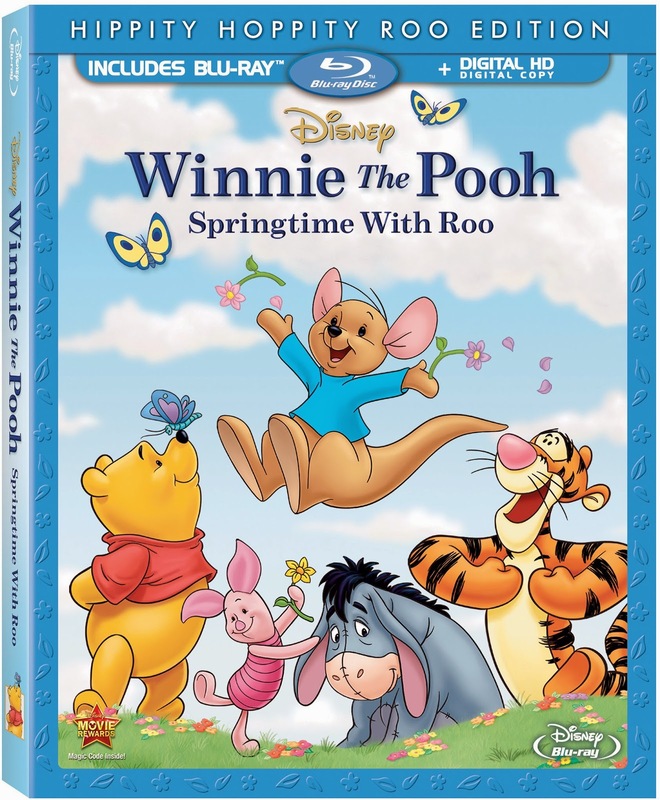 I received Springtime With Roo on blu-ray at no cost for the purpose of this review. No other compensation was received.